Our urban canopy series focuse on using the shop cut-offs to create mosaics from a medley of species. We have only a handful of pieces remaining from this lot. 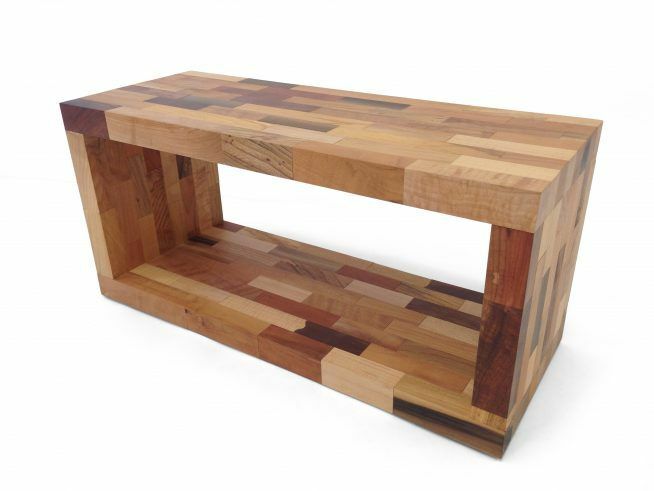 This bench/table is a perfect utility player.